A display is a monitor, the primary output device for a computer. Every computer will have some form of display whether the standard video monitor, an LCD (Liquid Crystal Display), or one of the new thin monitors. The most common of all displays is the video monitor. For most of us, it looks like a television screen. While it operates on the same principles of a television, the specifications are quite different. Since the predominate feature of a standard monitor is the screen itself, let's start by taking a closer look at the cathode ray tube (CRT) also known as the screen. 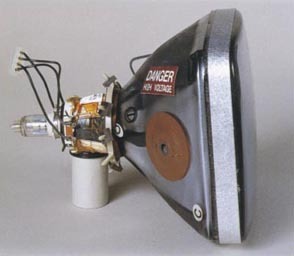 The cathode ray tube is the only vacuum tube still being used in computers and televisions. It consists of a conical shaped tube on which one end has been elongated. On the large flat end of the cone is the screen that we look at. The other end contains the electron guns that create the lighted image on the screen. In the middle are various coils and electronic circuitry that control the formation of the image. When a monitor goes bad.When it comes to monitors, for a computer technician they should be considered just like power supplies. There are no internal serviceable parts. CAUTION - VIDEO MONITORS HAVE INHERENT DANGERS FROM THE HIGH FREQUENCY/HIGH VOLTAGE POWER REQUIRED TO OPERATE (UP TO 50,000 VOLTS). SERVICING AND ADJUSTMENT OF THE INTERNAL COMPONENTS SHOULD BE LEFT TO A MONITOR SPECIALIST! There are only two kinds of display problems. Either it doesn't work or the image is bad. Let's first look at the monitor that doesn't work. You know when a monitor is not working, because the computer is ON and the screen is blank. When this happens, there are only three places to check. Power – Is it turned ON? Is it plugged in? Is there power to the power strip or outlet? Sounds simple, but an unplugged monitor frequently is the problem. 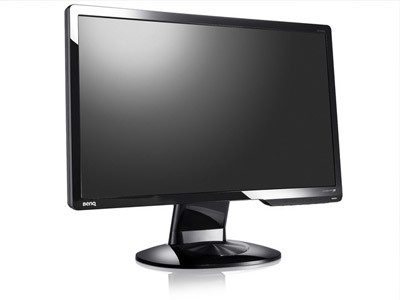 Most monitors will have a status indicator light to show that it has power. If all is well, the light will be green and if there is power, but no data signal the light will be yellow. Data Cable – Is the data cable connected securely and to the right connector? If you have a yellow status indicator light, this connection is most likely the problem. Brightness and Contrast – These controls are used to adjust the intensity of the screen. If set too far one way or the other, the screen will be black. If the status indicator is green, you have power and data signals, so be sure to check brightness and contrast before you panic. If none of these work, the problem is the video card or the monitor. You can connect a known good monitor to this computer or connect this monitor to a known good computer to isolate the problem. When the picture is bad, you have a few possible solutions. Some adjustments can be made from outside of the monitor. There are also some inside adjustments, but they are best left to a specialist. 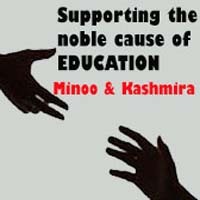 The external ones include brightness and contrast. Check the documentation that comes with the monitor to determine the adjustment limits for the monitor. Check for bent pins if a predominant color is the issue. The cable connection is a common cause of poor picture. An improper connection can cause poor edges and missing colors. Monitors operate by using magnetic fields to control the movement of the electrons on the screen. Since they rely on magnetic fields, they are also subject to interference from outside magnetic fields. Most have automatic internal circuitry to correct these problems. These are called degaussing coils. If you notice swirls or fuzziness, the monitor might need degaussing. If you push the degaussing button, the image on the screen will shake rattle and roll for a few seconds and then stabilize. Keep it clean - use periodic cleaning, dusting, and good common sense around a monitor. Use quality cables and insure that the connections are tight. Enable any power management features. Keep the ventilation slots free from obstruction. The monitor produces a lot of heat and needs to have adequate cooling. Use only the refresh rate recommended by the monitor manufacturer. Use simple cleaning solutions, not aerosol sprays, solvents or commercial cleansers. Do not leave monitors on for extended periods (unattended). Use a screen saver or the computer's power conservation features to prevent burn-in of the monitor screen. Don't work inside the cabinet unless you are qualified. Monitors emit x-ray radiation. Tampering with the settings or operating with the cover removed can disable manufacturer's safety devices, thus increasing the hazard.